Has anyone read 1Q84 by Haruki Murakami? Has anyone read 1Q84 by Haruki Murakami? What are your thoughts about the book? I recently got the boxed set and have not read them yet. I am hoping to try them soon and see what happens. I read a few chapters and gave up. 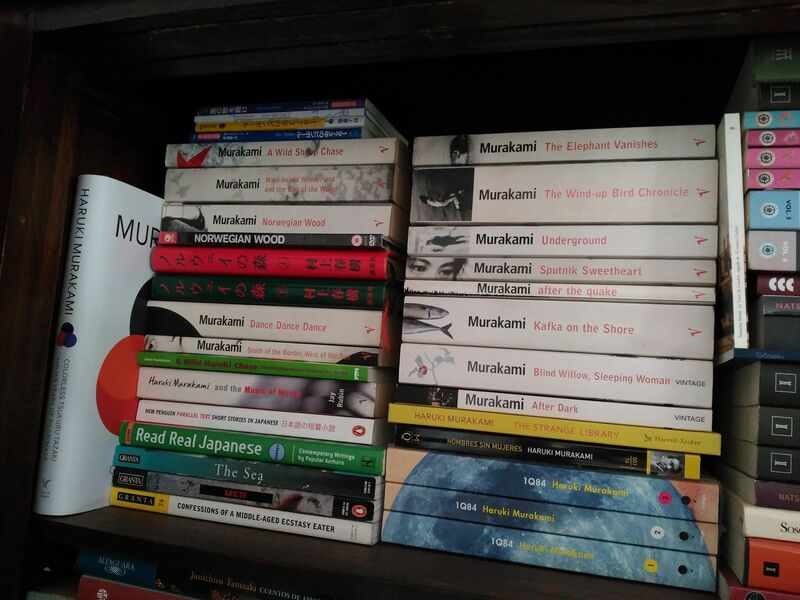 I’ve tried other Murakami books too and can’t get into them. I absolutely loved it, but it was challenging. I read it all the way through, but it was a struggle. I kept hoping it would get better but it really didn’t for me. This was my first of his books; it was a challenge but it got me hooked on his otherworldliness mixed into mundane life. I listened to a wonderful translation and follow up interview. It took me a while to get into his universe (sci-fi on top of Japanese “reality”) but I ended up enjoying it a lot. Surreal at times, but otherwise it’s a classic Murakami. 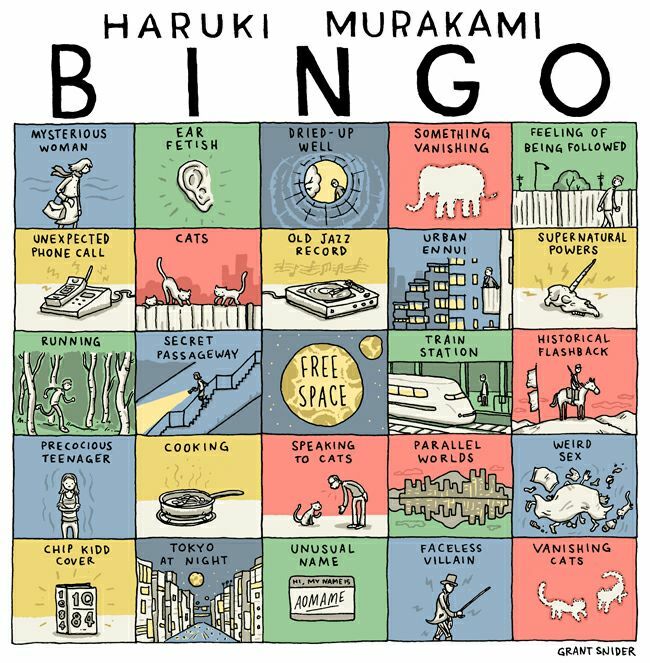 It was intro to Murakami, who is now one of my top 10 authors. It is slow moving, but I loved it. I listened to this book for hours (Audible version) at first intrigued, then bored with repetition, then caught up in characters again, felt so invested that I read on, kept thinking i would at a point feel immersed in this world of 1Q84. But as I listened one day, having made it through more than 3/4 of the book, I found the story so wearisome that I didn’t care how it all connected or not. End of story. It is one of the best from Murakami and fantasy thriller and magical realism all combined in this book. Once started you cannot put it down! It was a good read but long. Taking breaks didn’t hurt because I always remembered where I left off. Good book(s) but not the best he’s written as it feel like a reshuffle of his elements more than a new story (although that may be different depending on how many others of his you read first). Which of his would you recommend? My entry point was Sputnik My sweetheart, which now I can say it was a good bridge between his unique style and his most famous and very accessible Norwegian wood (despite being very Japanese in character). This one is gorgeous but rather an anomaly in his bibliography so not one to measuring by. Once you have ‘a foot in the door’, I would advise to go head-on and dig deeper in his oddities with The Wind-up Bird Chronicle (more historical anxieties than the rat tetralogy) and Hard-boiled Wonderland, to my taste, his peak (which also contains parallel and here magical-not-noir worlds). Jean I have read a few, but loved that one the most…. I had the audio book and loved how the two readers (a man and a woman) gave a certain atmosphere to the story. It was my first Murakami and I loved it, as all the magic stuff going on was new to me. I would say go for it. I got through 75% of it and put it down. I might have been wrong about it, but it was becoming boring and predictable. I’ve finished the first one and loved it. I loved it! The only thing that turned me off is some of the stuff with young girls. I don’t think that it was necessary. But overall I really enjoyed the story, I didn’t mind the repetition. I really felt like I was a part of the story with how realistic their observations and actions were. One of my top 10 books. It’s definitely a challenge but go for it! Not my favorite of his, but a great book! It’s fun to immerse yourself in the worlds he creates, which are just parallel to ours! Loved it. I can’t forget it. I wish I could remember who I loaned it to! I was never able to finish it. I’ve tried twice to read it. I’m a huge Murakami fan and I think 1Q84 is one of his best. It’s as good as Kafka by the Shore and The Windup Bird Chronicle. I loved it. Absolutely worth the read. I loved it too. It needs a bit of concentration: normally I read a lot of books simultaneously, but this didn’t work that way. Was an amazing journey! I actually listened to the audio book. The narration was excellent. I enjoyed it but I know that’s subjective! I enjoyed the translation by Gabriel and Rubin that’s on Audible. I read a few months ago and have been wanting to talk about it! Who’s up for talking to me about the ending (don’t want to spoil here). Are you thinking about reading it or have you read it already? Jin I liked it. I think. Not sorry I read it but not sure what to make of it if that makes sense. I really liked it. however, the third book is boring and repetitive. i personally don’t mind longer books, so i thoroughly enjoyed it.